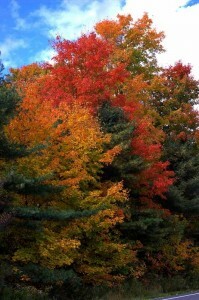 Fall Foliage and Lighthouses – What a Great Tour! Up and down Maine’s midcoast region, really from Freeport north to Camden, fall colors are starting to appear, and the promise of really nice fall foliage is apparent. At Brewster House we always enjoy guiding our guests on our Lighthouse Tour of the Maine Coast, but we take special enjoyment when we can combine it with parts of our Fall Foliage Surf & Turf special – recently named one of the 10 Great B&B Escapes for Fall by Smarter Travel magazine. For those who want the best of the lighthouse tour and the foliage areas, we start by sending you north to Brunswick on US-1, then out Route 24 from Cook’s Corner, across Great Island, then Orr’s Island, across the Cribstone Bridge to Bailey Island and Land’s End. 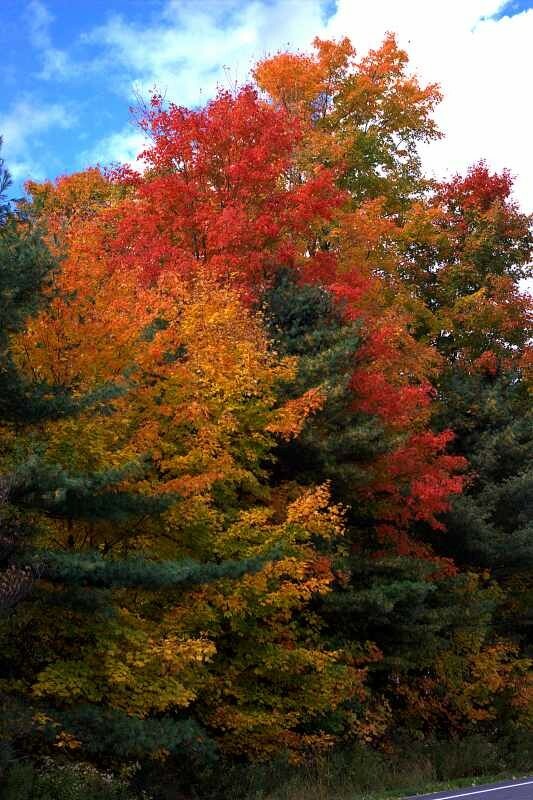 Along the way you’ll see beautiful coastal scenery, and, as the trees begin to turn, some wonderful fall colors. 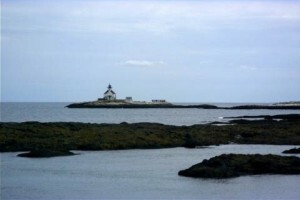 From Land’s End you can see Halfway Rock lighthouse, almost appearing to float on the waters of Casco Bay. Returning to the mainland and US-1, we turn north again, then take Route 24 toward Boothbay Harbor, but at Boothbay we turn off, heading for Newagen, where you can see the Cuckolds Lighthouse from the picturesque little harbor. After a brief side trip (and maybe a quick stop for an ice cream cone in Boothbay Harbor), we return to US-1, and continue north to Damariscotta, where the quintessential New England fall foliage photo-op appears, with the lovely New England village in view across the river, with a wreath of fall colors surrounding it. Continuing out the peninsula to Pemaquid Point, the foliage can be magnificent, and the trekker is rewarded by the majestic beauty of Pemaquid Point lighthouse perched high on a rocky bluff, overlooking the Atlantic Ocean. For most, this would be a full day, but for the hard-core foliage enthusiast, on the return south on US-1, you can exit at Woolwich, and Route 127, to Georgetown Island, where you can view wonderful foliage along the island, and stop at Reid State Park, where you can walk on the beach and see Seguin Island lighthouse about 2.5 miles offshore. On a clear day you can also see the Cuckolds light. What a great way to combine a drive through the fall colors with a tour of midcoast lighthouses!